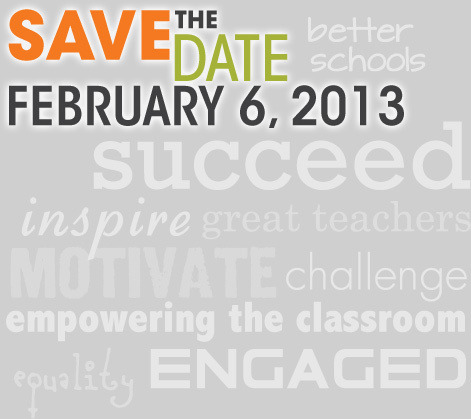 Digital Learning Day is coming up on Febraury 6, 2013. Â Showcase your classroom and school! Digital Learning DayÂ is a national campaign that celebrates teachers and shines a spotlight on successful instructional practice and effective use of technology in classrooms across the country. The inaugural Digital Learning Day boasted tens of thousands of teachers representing nearly 2 million students. The second annual Digital Learning Day is gaining momentum with ongoing activities, ideas, and collaboration opportunities leading up to February 6, 2013. Join the wave of education champions who seek to engage students, celebrate and empower teachers, and create a healthy learning environment, personalized for every child. Participation is free and easy. The AASL (American Association of School Librarians) is one of the partners in this project. The website,Â DigitalLearningDay.org,Â offers customized toolkits for all audiences, grades, and subjects to help educators explore how they can contribute to the campaign. School librarians and other educators are invited to visitÂ DigitalLearningDay.orgÂ to register to receive toolkits, resources, and invitations to run-up events and activities. Next Next post: Workshop Idea: Libraries as Learning Spaces â€“ Maybe?